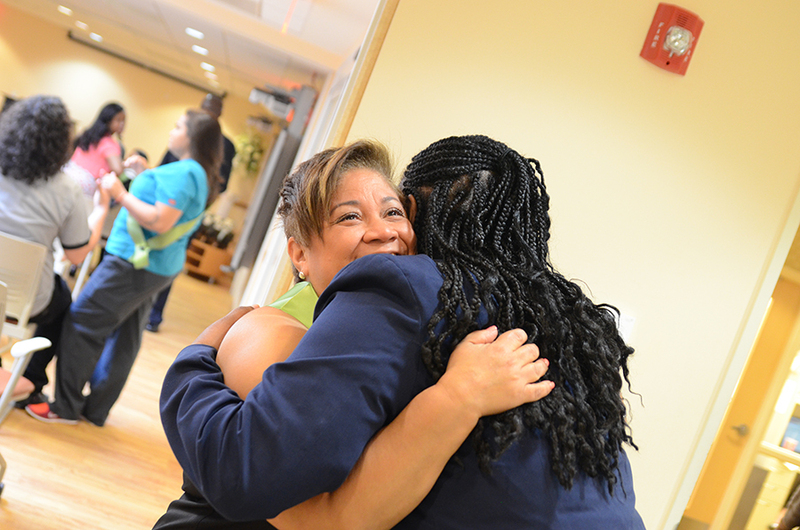 New York, NY (June 19, 2015) – Yesterday, the Institute celebrated the achievements of 18 staff members that have recently completed a Medical Assistant program. The program started as an effort to partner healthcare and education together to better meet workforce needs. Together with the New York Alliance for Careers in Healthcare, Lehman College and the Borough of Manhattan Community College we were able to help 18 people advance their careers. The program provided an opportunity for those interested, to go to school tuition-free to become certified medical assistants. Upon completion, the Institute agreed to hire participants as Medical Office Assistants – in most cases in the site where they already worked as PSRs. Within two years the Institute now has 18 skilled, working certified medical assistants caring for patients in the communities we serve. The graduates have a combined 123 years of service at the Institute for Family Health. That is true commitment to the community. “I want to tell you how much I respect you and look forward to having you continue to work with us. If there’s anything we can do to help you move your career forward even further, we are here,” Dr. Neil Calman, president and CEO of The Institute told the graduates last night.